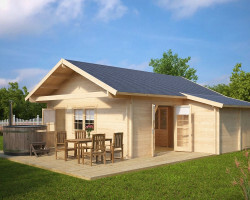 A summer house with shed is a good solution to two needs: a garden room and a storage shed. 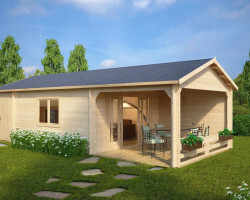 Use one garden building for both and spend less. 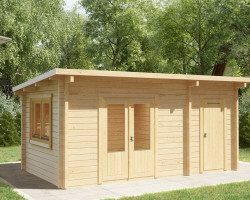 Multifunctional garden log cabins have 6 to 15 m² space for your hobbies and around 4 to 7 m² storage space. 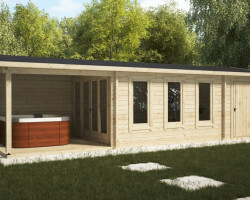 To get even more out of your summer house with shed, we have extended several models by adding a spacious veranda. 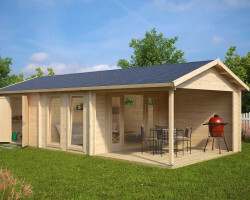 Our selection of “summer house and shed combined in one log cabin” starts with the most simple and affordable ones. 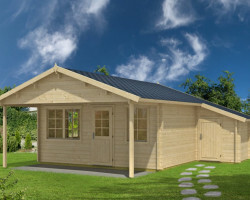 Have a look at “Otto” garden log cabin . 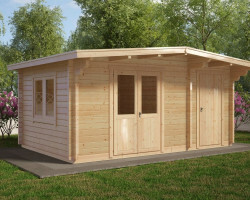 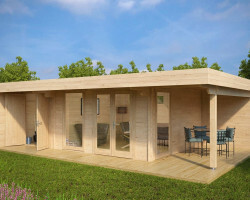 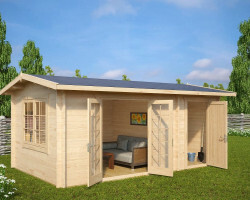 This medium-sized wooden garden building has 7 m² of space for a nice garden room and 4 m² for keeping your tools and other garden equipment away from weather. 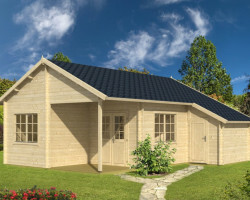 These small summer houses with shed are supplied with 28 mm wall thickness, wind braces, 3 mm glass in doors and windows, solid 18 mm floor, 18 mm roof boards, roofing felt and they are all easy DIY summer houses. 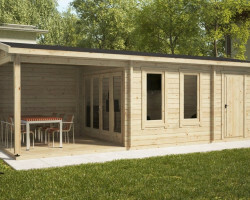 If you are looking for a large garden office or a hobby room together with storage shed, then we would recommend having a look on Hansa Lounge XXL. 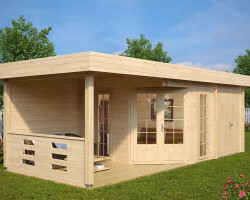 This is our flagship summerhouse with shed. 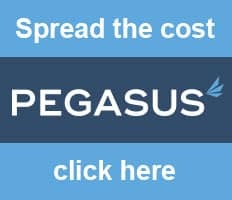 We are very proud of it. 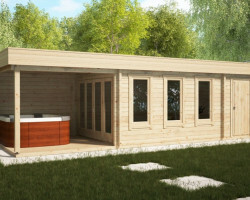 It is a modern garden room with plenty of light thanks to panorama windows. 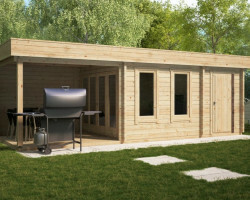 This modern summer house comes with large veranda and extra large shed to store all your garden equipment, tools, bicycles and others. 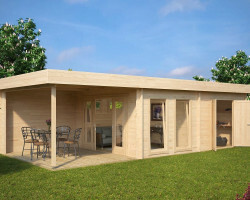 We are working on more multifunctional wooden garden buildings to help save people’s space in their garden and save money as well.